Ed Martin Shihan was taught a series of chi kung breathing exercises for health benefit. Ed says that this have turned out to be very true. Now you to can learn these simple and yet very effective breathing exercises with this video. Ed Martin Shihan is a long time student and master teacher of the Bujinkan Dojo system founded by Dr Masaaki Hatsumi Soke Ph.D. Another long time friend of Ed named Charles Daniel have studied many different martial arts for many years. 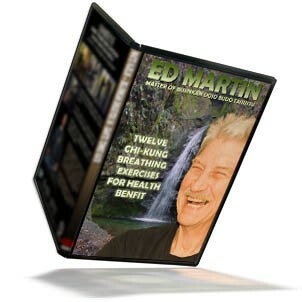 He taught Ed a series of chi kung breathing exercises for health benefit. Ed says that this have turned out to be very true. Now you to can learn these simple and yet very effective breathing exercises with this video. The ability to take in and store vital energy comes under the general heading of chi kung. There are hundreds of methods of chi kung, including Buddhist, Taoist and Confucian sources in China. India and Tibet both had strong influences on chi kung in China. A great interchange took place between these countries, not only in trade, but also in culture and religious practice. Many Buddhist monks carried the teachings to China, and with them secrets of health and longevity. Since that time the Chinese have adapted and changed all that they have learned, and produced the multifaceted chi kung of today. The main reasons for people performing chi kung can roughly be divided into three areas. Longevity: chi kung advocates believe that correct and regular practice will ultimately lead to a healthy and extended life span. Martial arts: the ability to generate tremendous power from chi kung training. 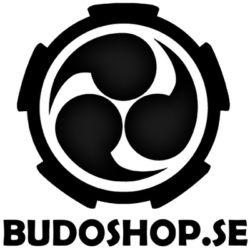 Ed Martin Shihan is a long time student and master teacher of the Bujinkan Dojo system founded by Dr Masaaki Hatsumi Soke Ph.D. He was nick named “Papa-san” by Soke. He earned an award of merit from Masaaki Hatsumi for his Self Defense for Everyone video.